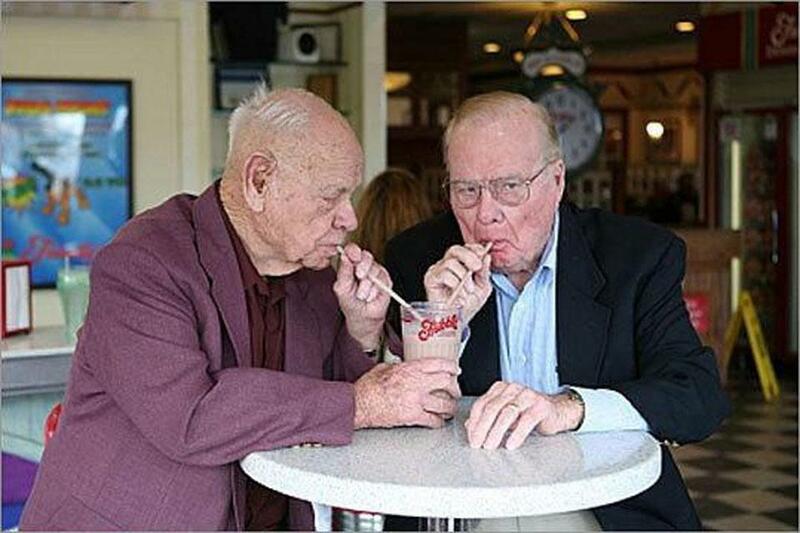 Friendly’s founders the Blake Brothers at the site of their first ice cream parlor. Unable to find jobs in the middle of the Great Depression, S. Prestley and Curtis Blake borrow $547 from their parents and open Friendly Ice Cream at 161 Boston Post Road in Springfield. Two scoops cost a nickel. The Blake brothers close their shops, putting up signs explaining that the locations were not for rent because they would be back “when we win the war.” They reopen in 1945, ready for expansion. The company moves to its current headquarters in Wilbraham, where the ice cream plant now puts out 25 million gallons a year in a total of 63 flavors. After more than 40 years at the helm, the Blakes sell their chain of more than 600 outlets to Hershey Foods Corp. for about $160 million. Hershey adds its own candies — such as Reese’s Pieces and the Heath bar — to sundaes. A chain-restaurant whiz named Donald Smith — famous for bringing the breakfast menu to McDonald’s and the personal pan pizza to Pizza Hut — acquires the company for $375 million. He’ll make it full-service and change the name to Friendly’s. 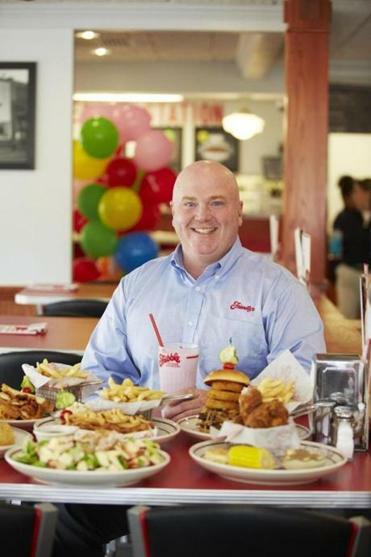 The ice cream chain’s new CEO is focused on fix-it — tastier Fribbles, faster service, cleaner restaurants — as he works to resuscitate a Massachusetts institution. S. Prestley Blake, who has spent some $2 million to become the then public company’s largest individual shareholder, tries to force Smith out with a lawsuit. As the fight continues, the Blake brothers have a falling out. The dust finally settles when Sun Capital Partners takes Friendly’s private for about $340 million. The brothers reconcile. Friendly’s declares bankruptcy, emerging in early 2012. It now has about 360 restaurants and more than 6,000 store-level employees. WHEN IS A FRIBBLE AWFUL AWFUL? True ice cream old-timers will remember the pre-Fribble days, when Friendly served the Awful Awful. Yes, Friendly. No, not Newport Creamery — well, both actually. Let me start over. Back in the 1940s, Bond’s Ice Cream of New Jersey invented a frosty drink of flavored syrup and ice milk. Legend says a Bond’s customer gulped down the 24-ounce concoction and promptly declared it awful big and awful good. The name stuck. After applying for a trademark in June 1948, Bond licensed the Awful Awful to Friendly over in Massachusetts and subsequently to Newport Creamery in Rhode Island. The two were New England competitors, true, but wicked polite ones: Neither seemed to mind sharing. 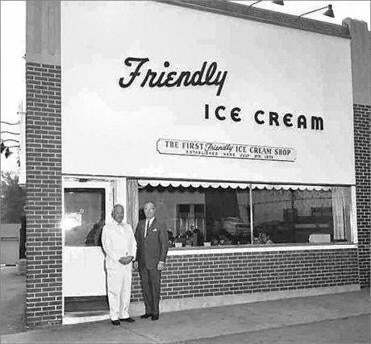 When Friendly (today called Friendly’s) decided to expand into Bond’s territory in the 1960s, however, it needed to rename the Awful Awful. 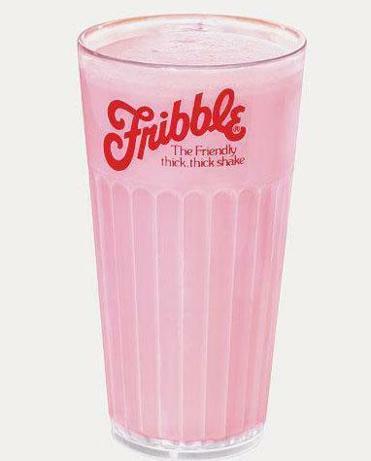 In a contest, three customers came up with “Fribble” — a real word meaning “a thing of no great importance” — and each got $100. Then, when Bond’s went into bankruptcy in the early ’70s, Newport Creamery snatched up the Awful Awful for $1,000.